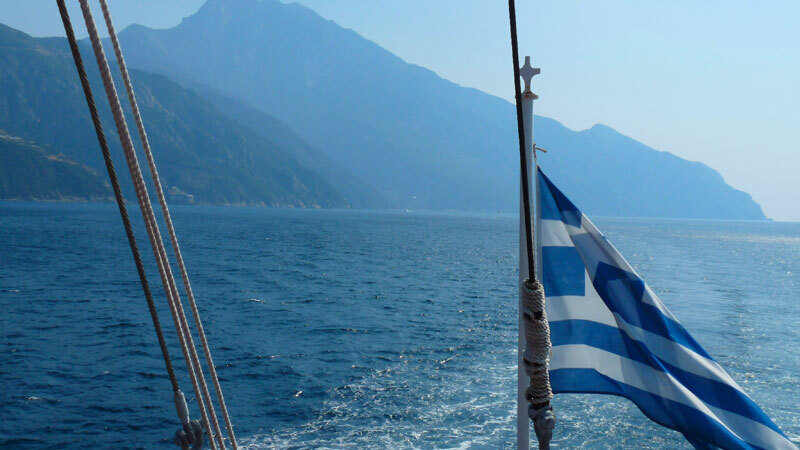 Step back 100’s of years in time as you cruise on the Menia Maria, a replica of a pirate’s ship, across the gulf from Ormos Panagias to the Athos peninsula. The last few years we are seeing more and more cyclists doing the Sithonia circuit. Bring your own bike or rent one and cycle down one side of the peninsula and up the other. If you want, take several days to do the 100 km route from Nikiti south to Toroni/Kalamitsi and back up to Ormos Panagias and over again to Nikiti. Make stopovers on some of the more isolated beaches and cool off. If you have a mountain bike, you will be able to to off and explore some of the more isolated parts of Sithonia. Here I go again! Back to beaches. Of course everyone has their preference but if you have transport, you need to have a day or an afternoon at Kriaritsi beach. An amazing long cove with some of the clearest waters in Halkidiki. Not a lot of services just an out of the way beach that will leave you coming back again and again. There are a couple of beach bars that offer loungers and umbrellas. For more beach ideas look at our “10 Best Beaches” page. Vourvourou is like a large swimming pool with its calm bay protected from the open sea due to Diaporos. Diaporos is a large island as part of an archipelago that is just off the coast of Vourvourou. The thing to do is rent a boat for the day, you don’t need a license. Just cruise around the island, stop at an isolated beach for a swim or a picnic. A definite stop is the Blue Lagoon. Tours take people here on excursions to swim, but you can do it yourself with no rush to move on. When you had enough of the heat, head up the mountain to Parthenonas. A remote historical mountain village not far from Neos Marmaras with a spectacular panoramic view. Enjoy a dinner on the terrace or an evening drink looking west to Mount Olympus and Kelyfos Island. Here you will feel like a king on his throne! There is much more that Sithonia and Halkidiki has to offer. A later guide will give some tips for the best things to do in Halkidiki and if you are able to travel further, in Northern Greece.